A terrorist attack on the electric grid that causes a nationwide blackout lasting one year could kill up to 90 percent of the American people by starvation and societal collapse, according to the Congressional EMP Commission. Senator Ron Johnson, Chairman of the Senate Homeland Security and Governmental Affairs Committee, has introduced a similar bill (S 1846). Congress has known for over a decade, since 2004 when the EMP Commission delivered its first report, about the existential threat to the United States from electric grid vulnerability. Yet nothing has been done to protect the grid. Congress has just a few more weeks before it breaks for the holidays to act. We need your personal intervention to provide for the protection of the American people against an existential threat posed by natural and manmade electromagnetic pulse (EMP). The consequent failure of critical infrastructure that sustain our lives is a major national security threat and would be catastrophic to our people and our nation. All the benefits of our just-in-time ecomony would come to a deadly halt, including the production of petroleum products, clothing, groceries and medicine. Think about cities without electricity to pump water to their residents. Some signatures to this letter are from people who-like a growing number of Americans-have only recently learned about the EMP threat and find it hard to believe that our government has permitted it to continue. They joined in signing because they, in representing those same Americans, wish to show broad support for qualified experts ending this vulnerability as quickly as possible. An EMP is like a super-energetic radio wave from natural or manmade causes that can damage and destroy electronic systems across vast regions, potentially across the entire continental United States, across Europe, or any other country that has not hardened its electric power grid. Russia and China have substantially hardened their electric grids. Other nations are beginning to harden theirs. But the United States has done little or nothing to counter this threat. We urge you immediately to issue a Presidential Study Directive (PSD) directing your National Security Advisor to lead a focused interagency effort to provide, in connection with your current budget execution activities and future budget requests, a specific program to address this natural and manmade threat. In particular, this PSD should direct that hardening technology, well known in the Department of Defense, be exploited by all agencies with responsibility for maintaining the electric power grid. It is imperative that plans are immediately implemented to protect America’s at least 100 nuclear reactors and their co-located spent fuel storage facilities from an EMP. It should also take into account bipartisan congressional initiatives, such as the Secure High-Voltage Infrastructure for Electricity from Lethal Damage (SHIELD) Act and the Critical Infrastructure Protection Act (CIPA). Dr. Peter Vincent Pry at CPAC 2015. 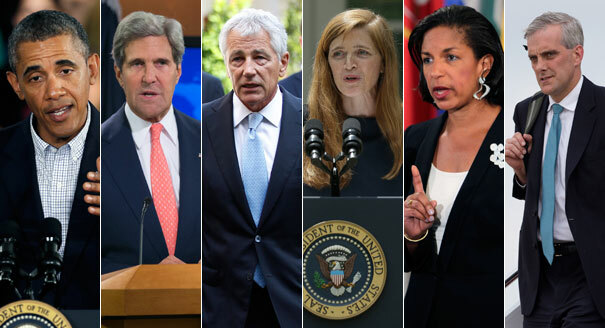 Polling indicates as many as one-third of Americans believe Rice and the White House, when in reality the U.S. faces existential threats of greater severity than World War II or the Cold War from terrorists, Iran, Russia, China, and North Korea. Regular readers of Family Security Matters do not need to be told why Russia, China, and North Korea–all nuclear missile states hostile to America and U.S. allies–pose a growing existential threat to the United States. This article shall focus on the existential dangers from terrorists like Al Qaeda and ISIS and from the world’s leading sponsor of international terrorism–Iran. 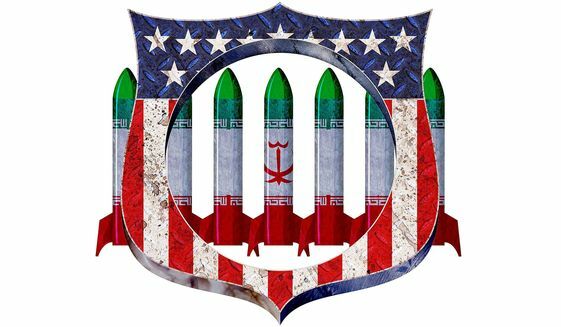 Islamic terrorists and Iran pose an even greater threat to the existence of the United States than did Imperial Japan and Nazi Germany during World War II, or than the USSR during the Cold War.